It is really hard to tell whether a makeup brush is worth its price tag or whether the price tag only reflects a luxurious brand name, right? Finding the right tool for your makeup is difficult and pretty intimidating, with all the brush types, sizes and shapes! Having the right set of brushes can mean the difference. But never go overboard! You don’t need to own the most expensive brushes, especially when you don't really need them. I have here a 22-piece brush set from TMART.COM, a US-based online shop. This brush set includes the brushes to create a complete look at any level of artistry, this is perfect for someone who is just starting out. Take note that you will not be needing all these brushes, but buying an inexpensive brush set would be easier if you’re new to makeup and not sure what you really need. 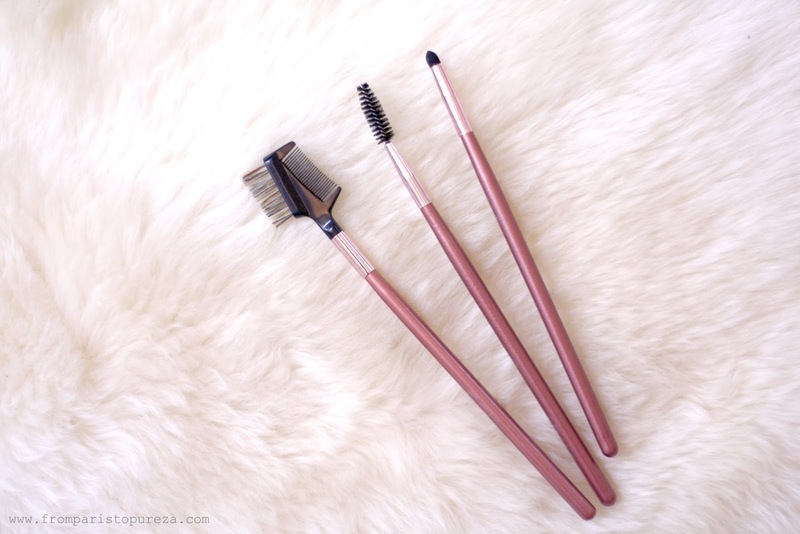 As you perfect your makeup application routine, you'll quickly figure out which brushes you need daily then you can probably invest on a high-end brushes later on. Remember that cost doesn’t always indicate quality. I own a few expensive brushes from MAC, Sigma and Guerlain, and I also have a few from H&M that only cost me like 4 euros each... Guess what? I love it more than the expensive ones! Regardless of your budget or the kind of makeup you use regularly, finding the perfect brush is a matter of personal preference. This set only cost less than 20 usd, and the quality is really impressive for its price. I mean, it is not the best of the best, but it has a good quality. The bristles are soft, durable and sturdy. It has a densely packed synthetic bristles and a solid handle made of wood. TMART.COM has a wide range of inexpensive brush sets, go and check them out. And yeah, I will give a quick overview of what's included in this set and the basic use of each brushes. These five are my favorites among the set. I am always tempted by big fluffy brushes for some reasons. So, from left to right: The Concealer Brush, it is a firm, narrow brush tapered at the end that allows you to brush on concealer in a concentrated area. The Stippling Brush, this brush is used for light powder, liquid or cream products. 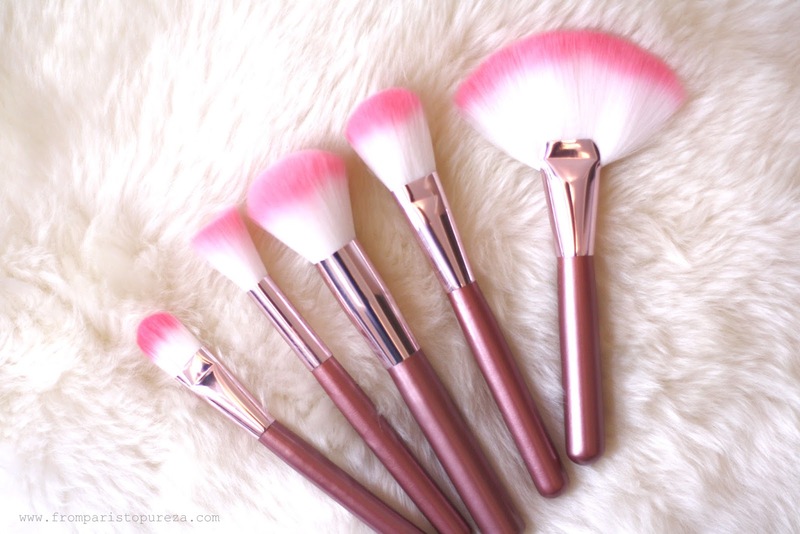 The Powder Brush is the most common of all brushes and should be in every makeup collection. 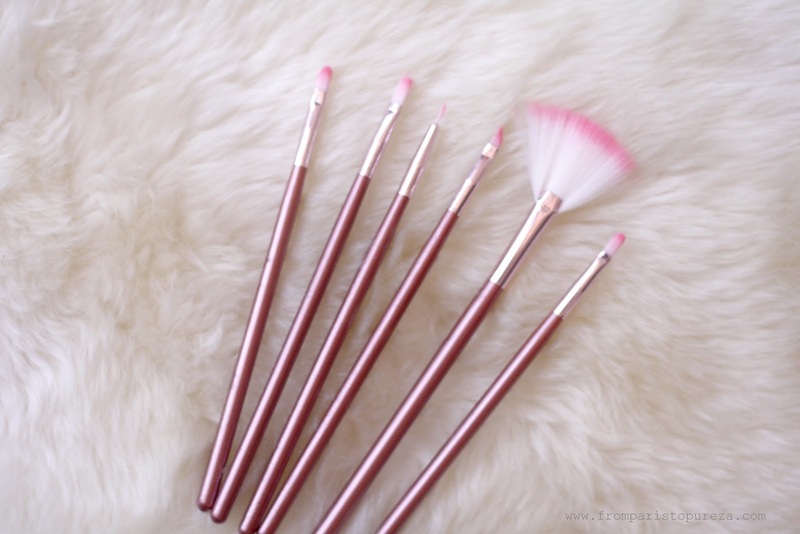 The Blush Brush that you can use for blush and bronzer! And look at the Fan Brush! But wait, what's the use of a Fan Brush? It actually has several uses... It can be used to apply blush, blend, clean up excess powder and highlight cheekbones. 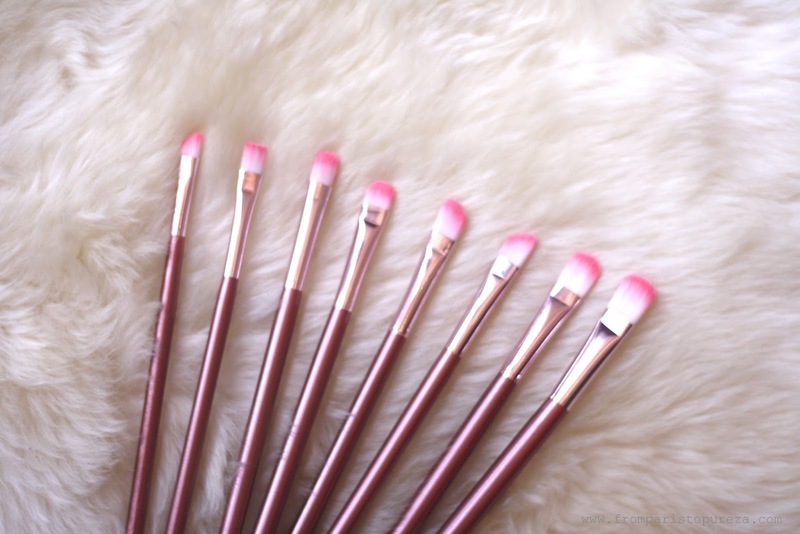 Eight brushes for the eyes in different sizes to create that sultry eye makeup. The Eyeshadow Brush to apply any type of eyeshadow. The Angled Eye Brush to define your eyes, it can be used with gel eyeliners or even along your crease to get a more precise line. The Eye Blending Brush that is perfect for blending in your eye shadow along the crease of your lids. The Eyeliner Brush, to put precise line using a gel liner. The small Fan Brush to brush off the eyeshadow crumbs. The Lip Brush that is typically tiny and allows lipstick or gloss to be applied more precisely on the lips. The Brow Brush and Comb, a tool for both your lashes and brows. The brush will allow you to smooth your brows down and the comb side can be used to get clumps out of your lashes. The Mascara Wand to apply your mascara, but I normally use this like a comb to remove out the mascara clumps. The Smudge Brush, I am happy with this brush, no it's not really a brush! It is sort of a small fine smudge sponge helps to obtain the coveted smokey eye. I have a good news... 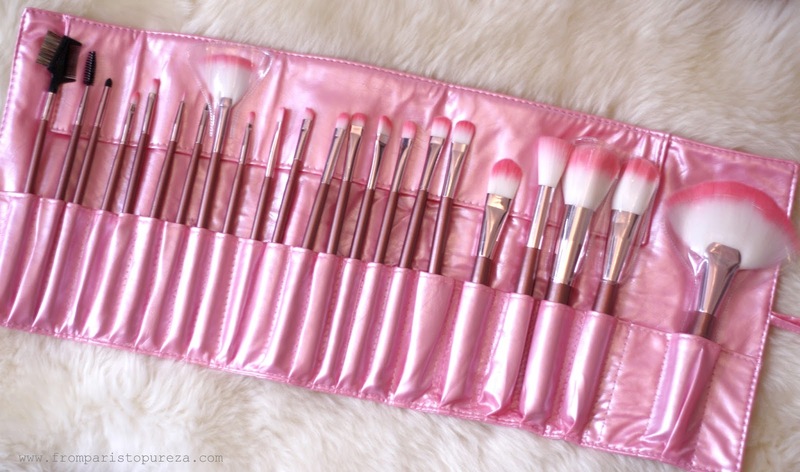 I will be giving away one Make Up Brush Set from TMART! Details will be posted this weekend! Stay tuned ladies! 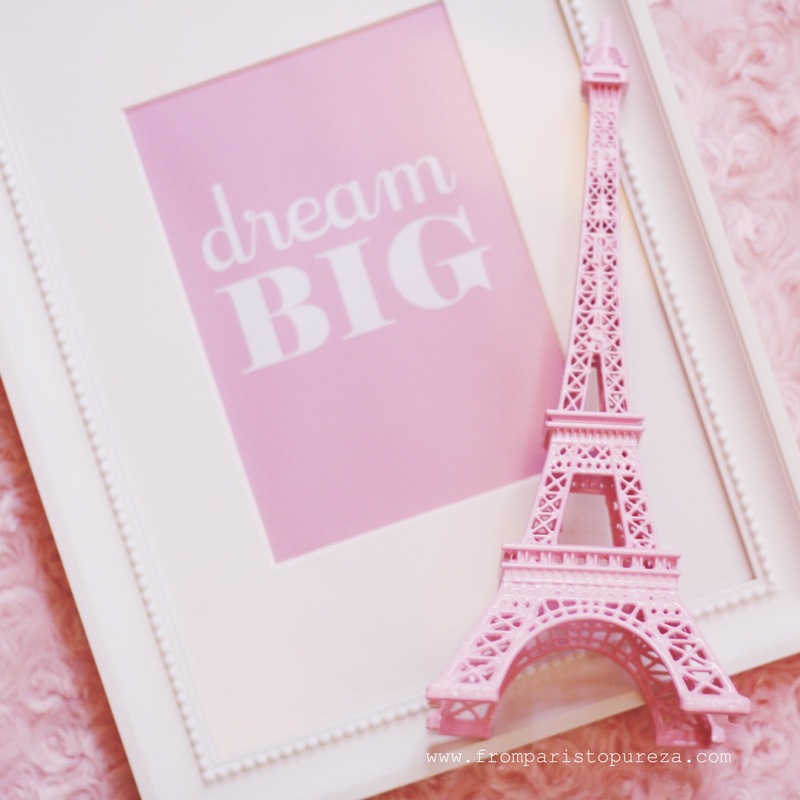 Living Overseas : I will be turning 30 in a few weeks... in France! My life in France has been totally different and sometimes most of the time too overwhelming. It helped me speed up my personal (and professional) growth. Moving here has taught me a lot of things, many things. Things like having the courage and being brave watching my life back home pass by, the birthdays and Christmas come and go, the marriages and special occasions. I've been absent to a lot of events, then I just realized that life doesn't stop and wait for me - okay this may sound a bit melodramatic <insert background music here>, but the moment you have decided to start leaving your safety and monotony behind, it is already courage and bravery. And you know what? This is not for everyone. When you're living abroad, your concept of time changes... Time flies really quickly, twenty four hours a day is not enough for me. More so, life back home goes by faster and the next thing I know, my nephews and my nieces are not young kids anymore. However hard it is, the fact that life goes on for the people I left behind is something I have learn to accept. And I will tell you, living abroad isn't like going on a vacation when all you have to do is to pack your bags. No, you need to pack and bring with you the determination, emotional and psychological strength. Imagine leaving everything you've grown to love and cherish for a long time? That's seriously tough! Imagine missing those special days that supposed to be enjoyed with your loved ones? Okay, that's the toughest! So here, a big tap on the shoulders to all the brave ones… Of course, I am giving one to myself for a "so far" job well done! I honestly didn't imagine that I will be celebrating my 30th birthday 6,672 miles away from my family and friends. But here I am, building my own family and working for our future.